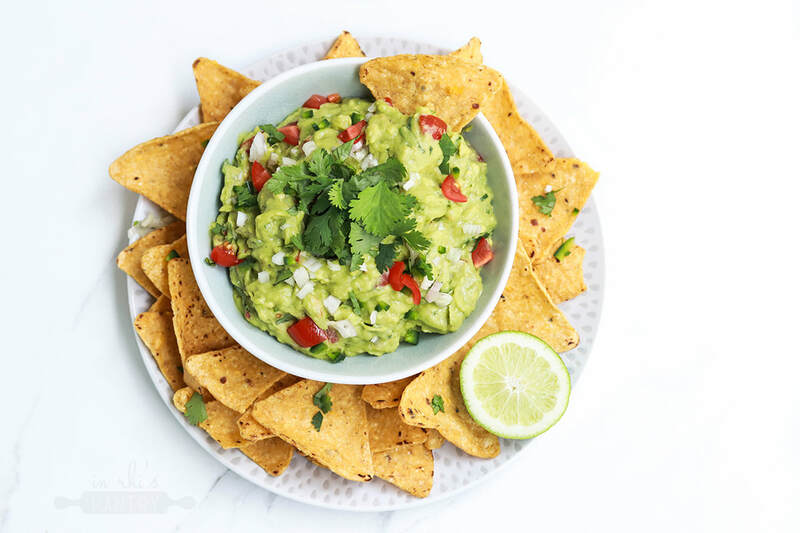 Guacamole is a total crowd pleaser, and is one dip that truly caters to everyone. Free from gluten, dairy, eggs, this is the perfect snack to make the most of beautiful avocados! Few fresh ingredients and only two steps make for this delicious recipe, and you'll truly find this becomes a staple recipe in your repertoire. So good! In a bowl, mash the avocado flesh. Once smooth but slightly chunky, stir in the lime juice, onion and coriander. Season to taste, then fold through the diced tomato. Spoon into a serving bowl, garnish and serve with corn chips!